Missouri is fourth in the country in deficient bridges and it doesn't appear help is on the way. ST. LOUIS — The bridge at the center of a fatal accident in St. Louis on Monday was one of many 5 On Your Side investigated in May of 2017. Below is the investigation as published on May 22, 2017. It was a moment that was supposed to change our priorities. On August 1, 2007, the I-35 bridge in Minneapolis suddenly collapsed, killing 13 people and injuring 145. A faulty design was blamed. "The bridge inspection community thought that more funding would be diverted toward the bridges of the country. We did not necessarily see that happening," said civil engineer Amy McLaren. Now, consider the words of a MoDOT engineer about most of Missouri's bridges. "Typically, a big bridge is built with a 50-year lifespan so if you play the math, we're at the lifespan," said Bill Schnell, an assistant district engineer. And in Missouri, there is reason for concern. The latest report from the American Civil Engineering Society graded Missouri's bridges a "C-". And a report from an industry group shows that in our area more than 750 bridges are in "poor" to "serious" condition. "I think we can do better," McLaren said. 5 On Your Side decided to check out some bridges with McLaren, and what we found was alarming. Like the Lindell-Union bridge over Forest Park Parkway, where concrete crumbles in your hand and large chunks of it drop from overhead. Civil engineer Amy McLaren shows Mike Bush the crumbling concrete beneath the Lindell-Union bridge. "If this hits your car, that will get your attention," McLaren said, holding up a chunk of concrete. Next up, the Broadway bridge that runs over I-44 in downtown St. Louis. It carries an estimated 44,000 cars a day but its inspection report finds it in "poor condition." The concrete is so worn, you can actually see the iron rebar coming through the concrete. "You'd be concerned about anything that might fall from the top of the bridge down to the traffic below," McLaren said. But of the bridges we saw, the worst was in south St. Louis. Columbia Avenue over the railroad. Nearly 114 years old, more than 4,000 cars trust and use it every day. 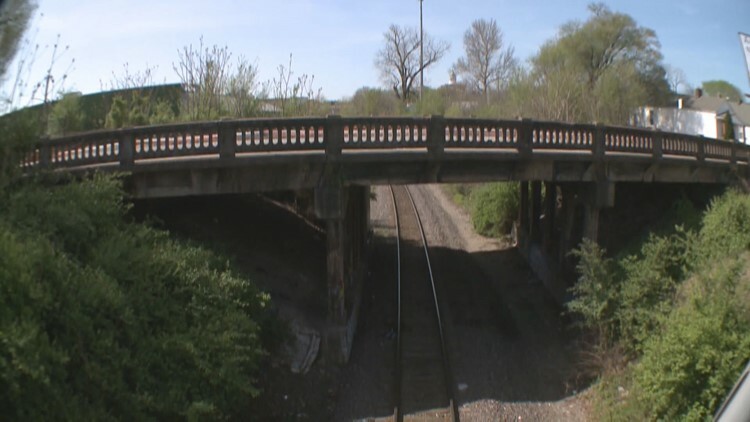 The Columbia Avenue bridge is nearly 114 years old and more than 4,000 cars use it every day. "I don't think you can rehab this," she said. "I do not think this bridge can be fixed." Repairing a bridge is expensive. Replacing one, even more so. That's why some lawmakers in Jefferson City want to raise the gas tax, one of the lowest in the nation. 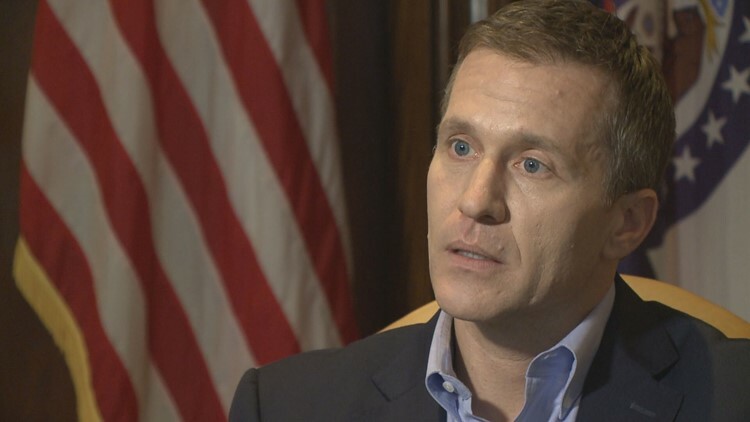 They want to raise the money to fix our crumbling bridges and roads, but Missouri Governor Eric Greitens is against the idea. Gov. Eric Greitens does not support raising Missouri's gas tax as a solution to our aging infrastructure problems. "I do not support raising taxes on the people of Missouri right now," he said. "This is the last thing that they want." Which brings us to our last bridge, the Poplar Street over the Mississippi. Despite having a deck that's constantly being repaired, its biggest problem may be one you can't see. "There have been failures across the nation due to scour failures," McLaren said. "The piles that the whole bridge is sitting on become unstable," McLaren explained. The Poplar gets a scour rating of three out of six, meaning it's a "scour critical bridge." The Poplar Street Bridge has a scour rating of three. In fact, 5 On Your Side has discovered other local bridges that are also "scour critical." The I-44 bridge over the Meramec River. The Jefferson Barracks bridge. The Clark bridge near Alton. "It's a never-ending job," Schnell said. 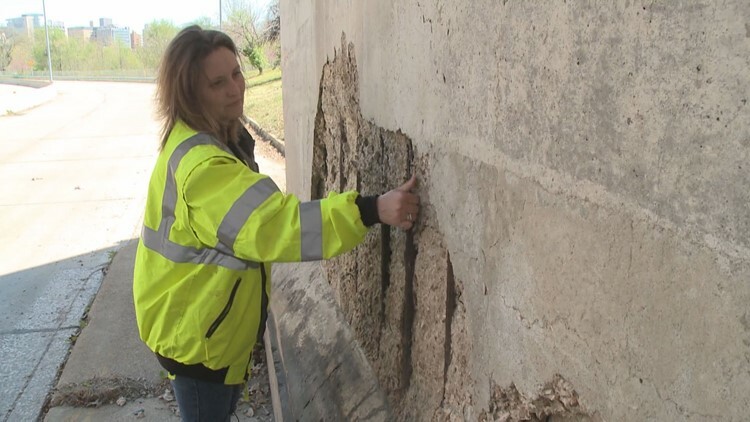 MoDOT says all of the "scour critical" bridges under their jurisdiction are constantly inspected and repaired, but Schnell has a reminder. When it comes to bridges, time is not on our side. "A bridge is the same as your house," he said. "If you defer maintenance on the roof and it starts leaking then you have more things to deal with."